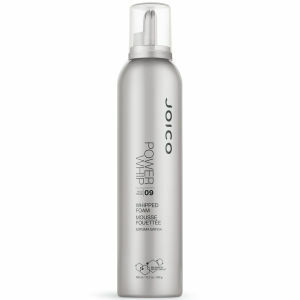 Designed to give your hair a firm hold that lasts throughout the day, this Power Whip from Joico is a professional finishing foam that gives you a salon perfect finish. Created with UV protectants, this non-aerosol foam works to protect your hair from environmental aggressors whilst giving you show stopping style. Giving you a maximum hold that's perfect for all hair types, this Power Whip is a must have if you want to achieve a humidity resistant hold that boasts a high shine finish.